Get TEFL certified in the beautiful paradise of Costa Rica. 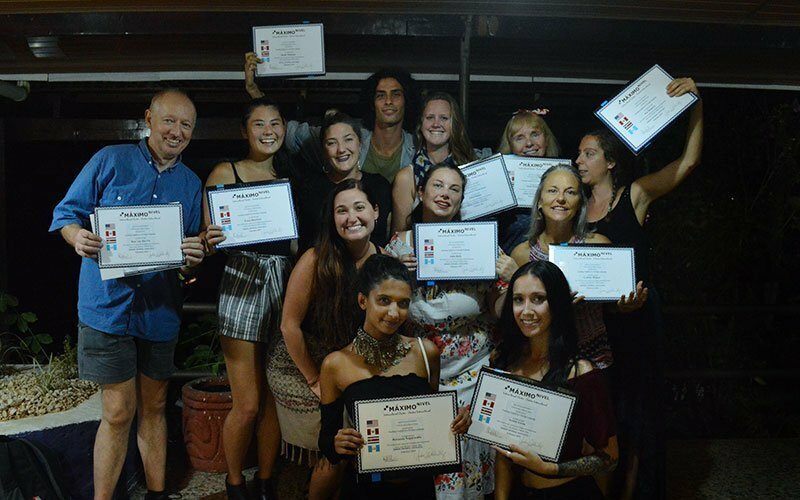 Earn your internationally-accredited TEFL Certification at the Maximo Nivel TEFL Training Center located in Manuel Antonio, Costa Rica. 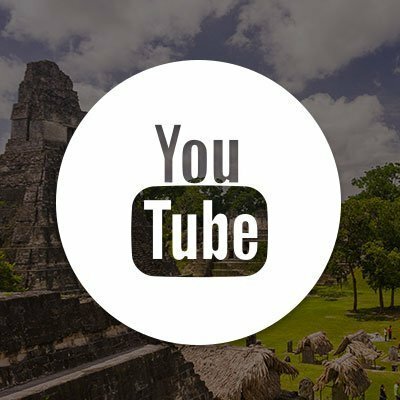 This is the perfect place to study for your TEFL certificate because Costa Rica is one of the most active job markets for ESL teachers in Latin America. 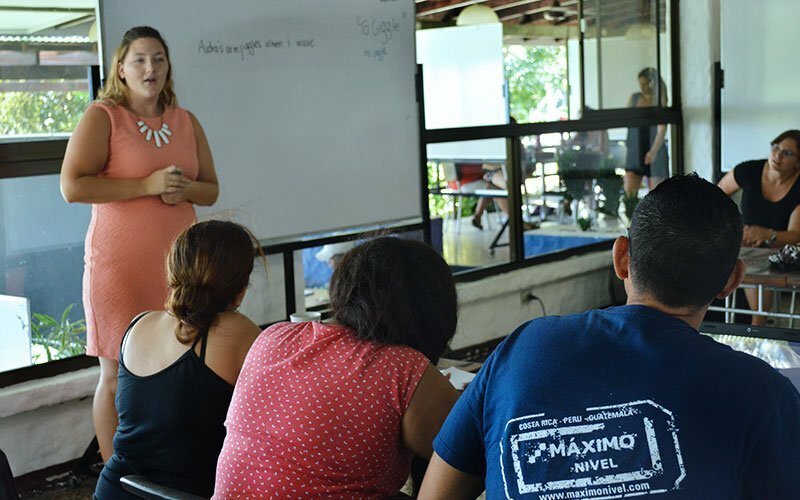 The Maximo Nivel team and your TEFL Trainer are experienced English-teaching professionals and very knowledgeable of Costa Rica and all of Latin America to make sure you have all the support you need. TEFL certification programs 11 months out of the year. New courses begin every 5 weeks. *For accommodation options click here. The course was wonderful, really interesting and engaging, and Audra is the best! She’s super knowledgeable and just an all around great teacher! Being able to both observe and get some hand on teaching experience really prepared all of us for a future of teaching abroad. Audra has also been incredibly helpful to everyone looking for a job directly after the class. Awesome month! 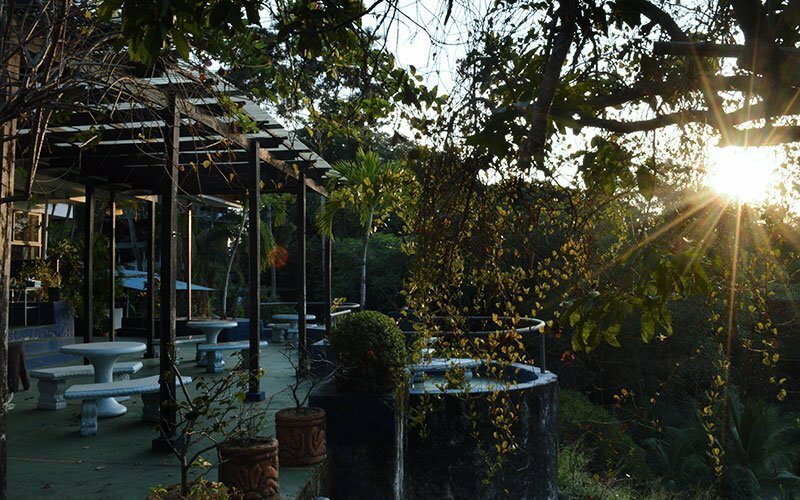 The TEFL training center in Manuel Antonio is Maximo Nivel’s most beautiful institute. The training center is located in on the Pacific Coast of Costa Rica, close to the beach and Costa Rica’s largest national park. 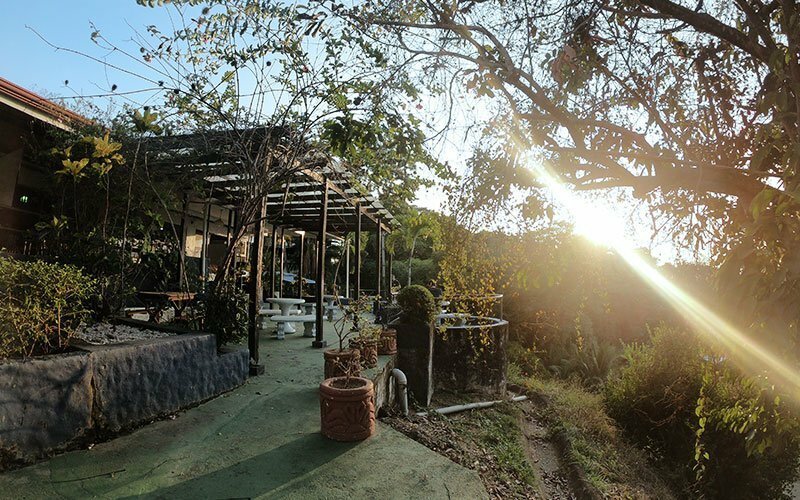 The location is ‘Pura Vida’ in every sense of the word with lots of space to study amidst the natural beauty of the rainforest and white sand beaches that only Costa Rica can offer. After class, you can escape to the beach, which is just minutes away via bus or on foot. And just down the road, is the quaint town of Quepos with lots of shops and local restaurants, a large marina, good nightlife, and an open-air market on the weekends. The training center is a single story building with 15 open-air classrooms and 2 enclosed air-conditioned classrooms. The large terrace overlooks the clear blue waters of the Pacific ocean. The common areas have a beachy-breezy feel, and include both indoor and outdoor spaces, a snack bar, and a computer lab. The training center is open 7 days/week including holidays. As one of the most advanced countries in Latin America, it is imperative for Costa Ricans to be bilingual in order to have successful careers. This makes Costa Rica a prime location to secure a position teaching English abroad. San Jose is the commercial center where you find most teaching opportunities. 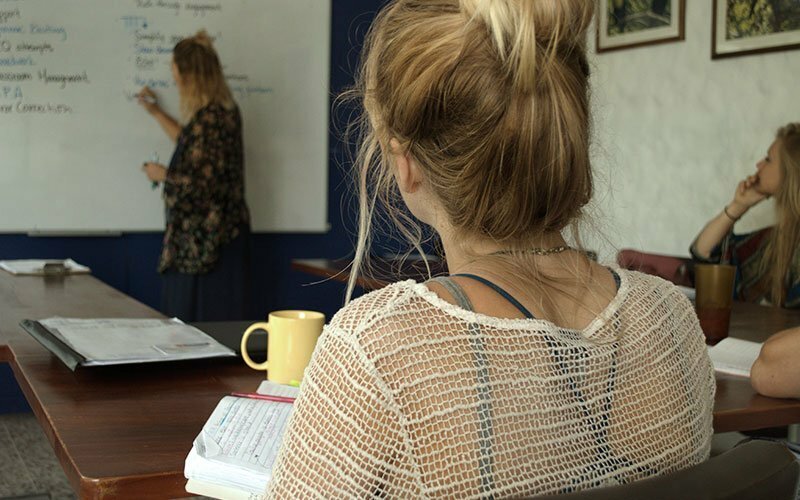 You can work with private institutes that provide 1-on-1 classes visiting client homes or offices and there are also opportunities to work in traditional classroom settings. Teaching positions at K-12 schools are available to TEFL graduates with the proper credentials and who can commit to a minimum of 1 year. Expect to work 20-35 hours per week, with total hours and curriculum standards varying between employers. 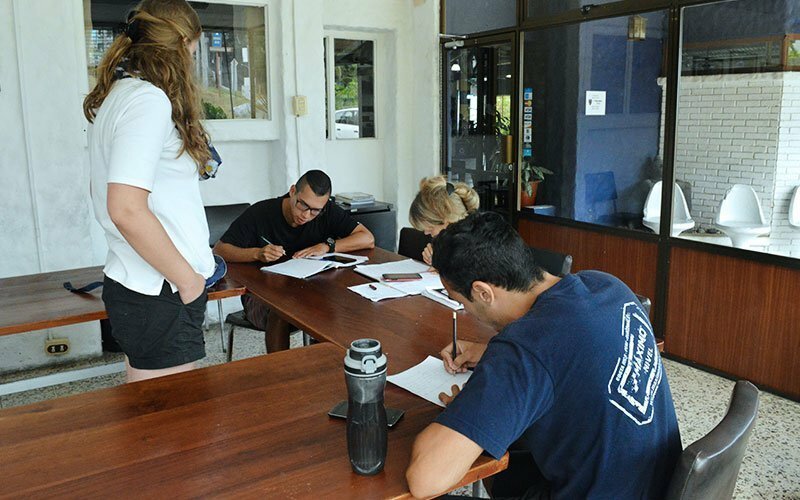 Students in Costa Rica tend to be rather serious about their studies, but never lose their air of ‘pura vida’, which makes it an enjoyable place to begin your international English teaching career. TEFL graduates find opportunities working with all age groups in both private institutes and public school settings. Private institutes hire year-round. K-12 schools, following the Latin American school year, tend to hire between January and February, whereas schools following the North American school year tend to hire between June and July. 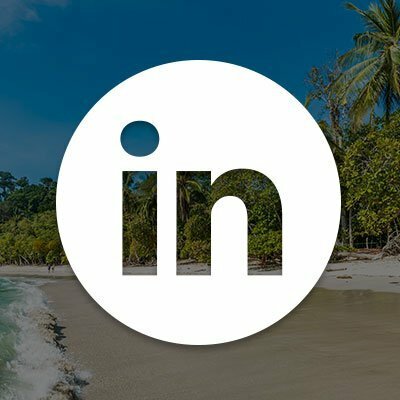 The Costa Rican culture places high importance on appearance and friendliness, and you should be prepared to meet employers and teach classes in professional attire. Maximo Nivel’s English language program at our institute in San Jose has approximately 300 English students each month and enrollment continues to expand. This means Maximo Nivel has an ongoing need for TEFL graduates and we hire 2-3 teachers every month. Maximo Nivel is a longstanding institute with a well known English program. Our full ESL curriculum, syllabi, materials, quizzes and exams are set and provided to our teachers. Teachers generally work 2-3 hours in the morning and 2-3 hours in the evening, giving you a nice break during the day for gym, lunch, personal errands, or a nap. All of our classes are offered Monday-Friday only, which leaves your weekends free. 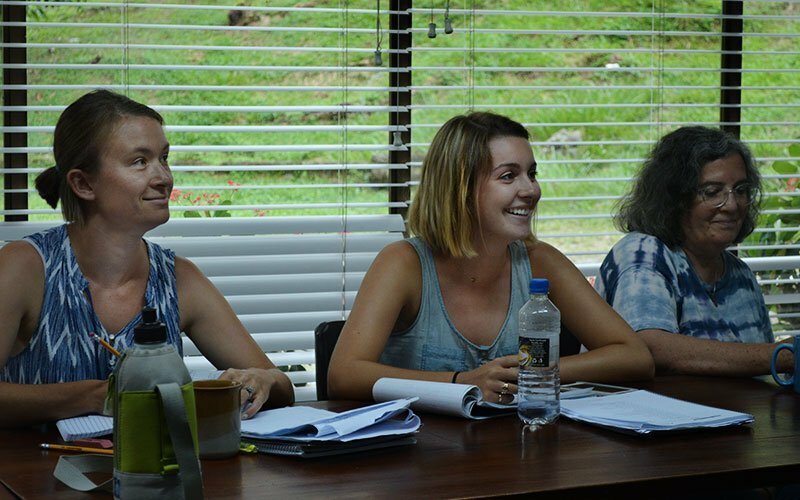 The 4-week 150-hour onsite course in Costa Rica is one of our most popular destinations and TEFL courses. 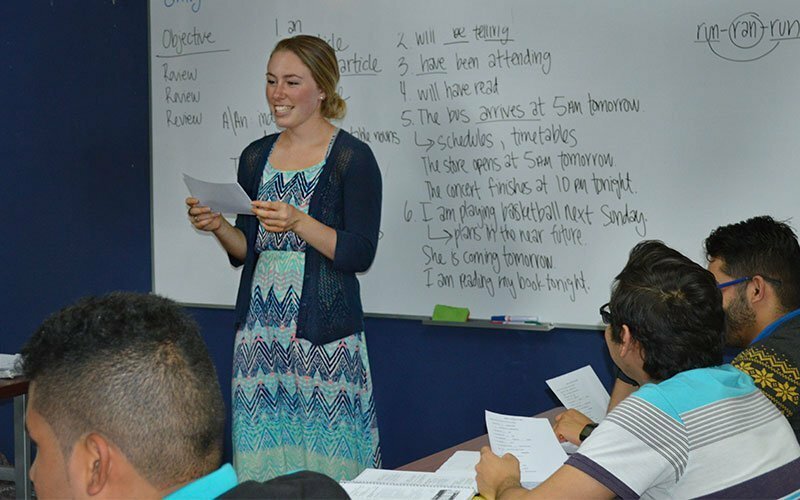 The TEFL program in Costa Rica usually ranges from 8 to 20 people. During your practical teaching week, ESL classes are somewhat smaller than our other training centers, ranging from 6 to 8 English students. Due to the tropical location, be sure to dress light for daily TEFL classes, but bring more professional clothes for your teaching practice. Our TEFL Trainer, Audra, is very energetic and dynamic. She has taught English and lived in both Latin America and Europe. She has been with the Maximo Nivel organization since 2013 and has worked as an ESL teacher and TEFL Trainer in our language-training centers in Costa Rica, Peru, and Guatemala. For the onsite TEFL program, we recommend you choose a private room with a host family, or an apartment for your accommodations. 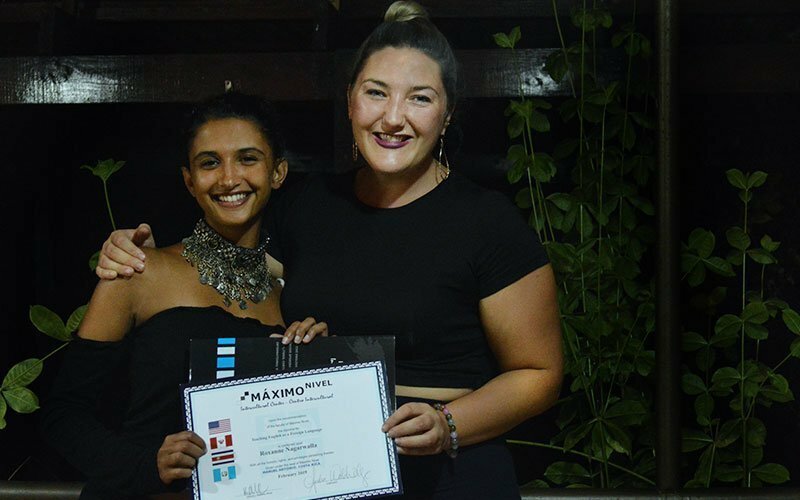 When you earn your Maximo Nivel TEFL Certification, you have completed a rigorous teacher training course that exceeds all global standards. 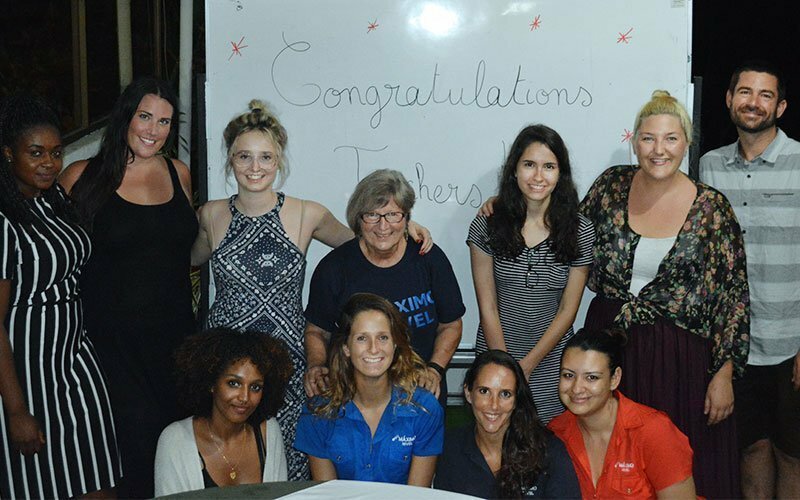 We have successfully trained more than 4,100 TEFL graduates since 2003, and Maximo alumni are teaching all over the world. We go way beyond all other TEFL certification programs. 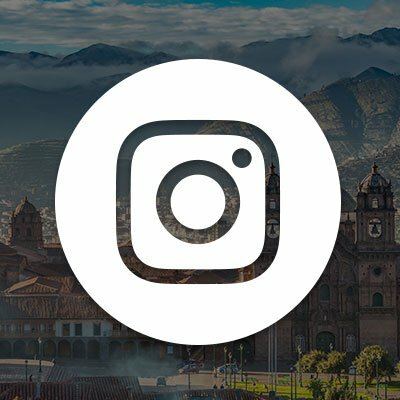 Maximo Nivel is a well-known, first-class language training center in Costa Rica, Guatemala, and Peru with 3,000+ English students enrolled every month. We are the local organization and we teach English abroad every day. Maximo Nivel’s TEFL Certification is a rigorous teacher training course that exceeds all global standards. We have trained more than 4,100 ESL teachers since 2003. Schedule a call with a program advisor today! 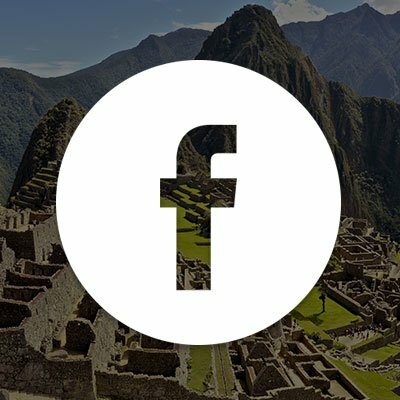 Maximo Nivel offers lifetime job-finding support for all our TEFL graduates. Your TEFL course includes a workshop and resume/CV preparation to find the best international teaching positions. Our professional team is always at your service to make sure you enjoy a long and successful teaching career. Get the job you earn! Why Aren’t More People Getting TEFL Certified? 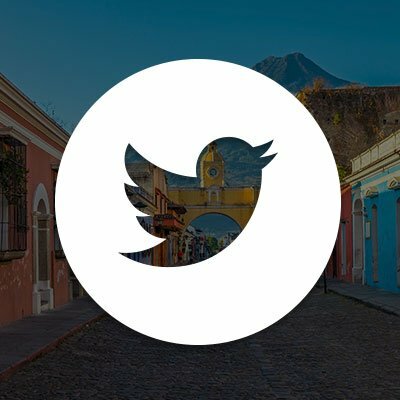 Ready to Teach English in Costa Rica?